This modern outdoor kitchen in Houston pulls off the industrial look perfectly – especially with its I-beam metal roof design! 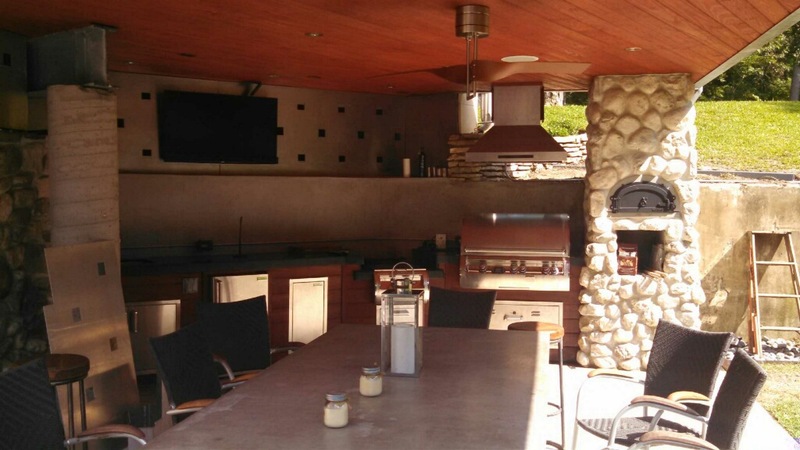 In addition to the metal roof, the use of concrete and stainless steel help complete the look of this modern outdoor kitchen. 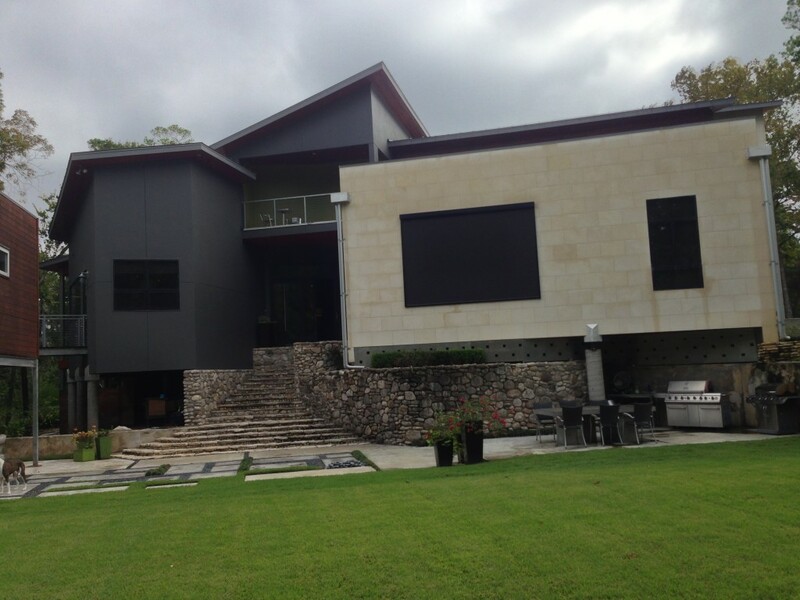 The table, floor and backsplash are concrete and the walls roof, and appliances steel. In addition to an e790 Echelon Fire Magic grill, these components included a power burner, warming and trash drawers, a range hood, sink, icemaker, fridge and storage. Balancing out the ultra modern look, however, is a beautiful, rustic-looking pizza oven. The warm, red tones of western redwood balance out the cooler tones of the concrete and stainless steel, he continues. Stained with a clear polyurethane to show off the color, the wood can be seen in the tongue-and-groove boards on the 10-foot-high ceiling. Redwood boards serve as facing on the kitchen cabinets, too. 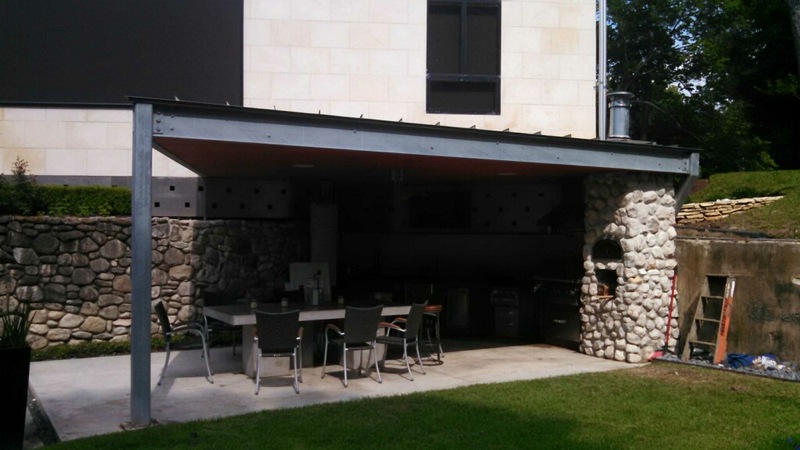 Question: What do you think of this ultra modern outdoor kitchen in Houston? What would you add or take away? 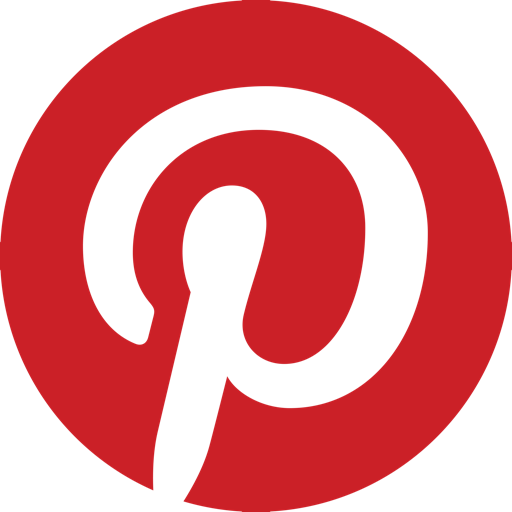 Post a comment, and let us know – we’re always looking for feedback and opinions! 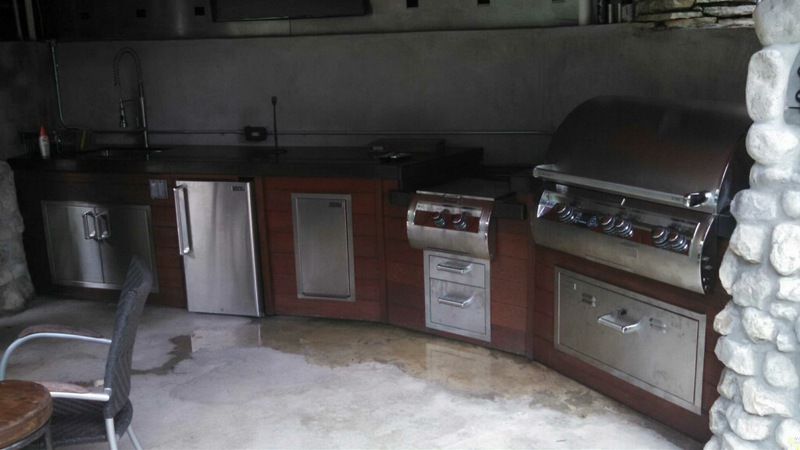 Or, if you’re interested in your own outdoor kitchen in the Houston area, just contact us! We’ll be glad to help you get your project started! 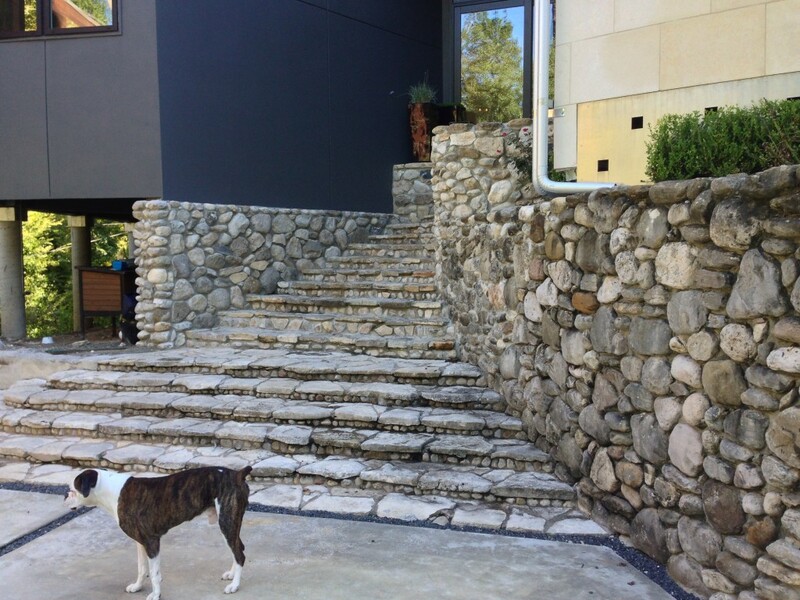 Also – feel free to check out our modern outdoor kitchen projects on Houzz!